How does your system handle special-case access needs? 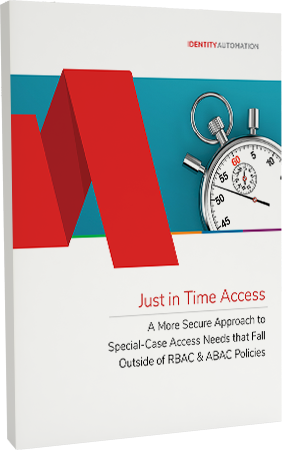 Both RBAC and ABAC policies fill unique and important needs in granting and controlling access in many situations. However, neither method is the complete or the ideal solution in every case. There’s a better way to manage these special-case access needs: Just In Time (JIT) Access—an approach that provides provisional access to users when they request it and only for as long as they need it.